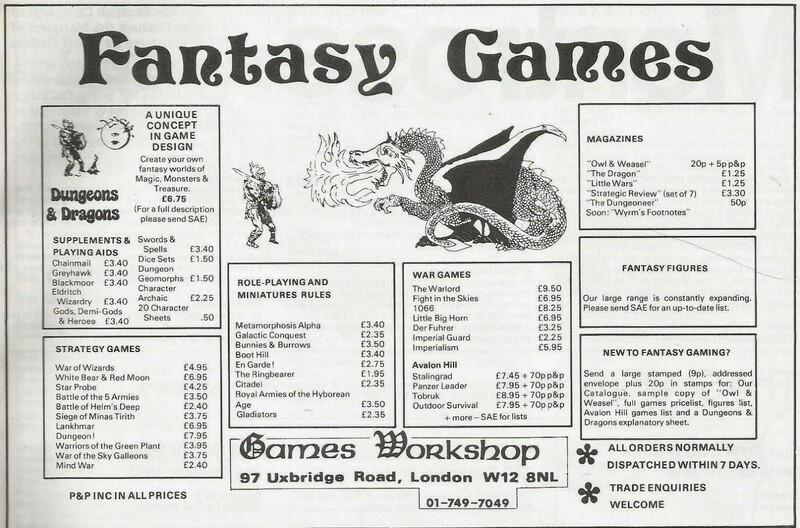 Like an entire generation of gamers who came to the hobby in the early eighties, Games Workshop, White Dwarf and Fighting Fantasy are indelibly stamped into my DNA. 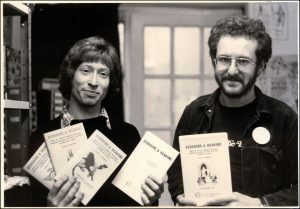 They were the core bastions of the small(ish) but rabidly devoted RPG and board game fan base and community that existed at the time, and the men responsible for the creation and development of the all-important, and aforementioned, triumvirate were Ian Livingstone and Steve Jackson. MM: Just in case anyone out there doesn’t know who you are, would you like to both introduce, and tell us a little about, yourselves? 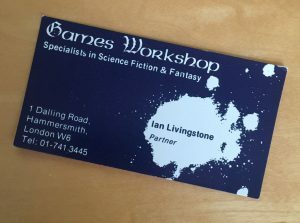 Ian: My name is Ian Livingstone. 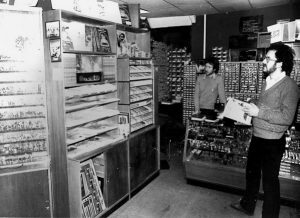 I co-founded Games Workshop with Steve Jackson in 1975, launching Dungeons & Dragons in Europe, White Dwarf magazine and Citadel Miniatures. In 1982, Steve Jackson and I co-authored The Warlock of Firetop Mountain, the first book in the Fighting Fantasy series which has sold almost 20 million copies worldwide. I’ve written 15 of the titles in the series. I later served as Executive Chairman of Eidos, publishing video games such as Lara Croft: Tomb Raider. Last, but not least, I own a collection of 1,000+ board games. Steve: I’m Steve Jackson, co-founder of Games Workshop and the Fighting Fantasy Series with Ian. Also co-founder of Lionhead Studios with Peter Molyneux. And ex-Professor of Game Design at Brunel University, West London. Designer of the FIST series of telephone games and the CCG series: Battlecards. Also on the fanboy side in 1993 I was awarded the title of European Gamer of the Year at the prestigious Interplay European boardgames championships. MM: Steve and Ian, what first promoted your interest in playing games and what is it about the hobby that kept you playing into adulthood and beyond? Ian: I first met Steve in the 1960s at school in Cheshire, and we both enjoyed playing games like Monopoly, Chess and Subbuteo. But we wanted to play games that were more challenging and more strategy-based, particularly war games published by Avalon Hill, although they were hard to find in the UK. But when we got our hands on them, there was no going back. We became gamers for life! Steve: When living at home (Altrincham, Cheshire) Ian and I used to play games after the pub. Then at Uni I founded the first University board games society. One of the members showed me a fanzine he’d discovered called ‘Albion’ It was a Diplomacy fanzine. I was intrigued. Even more so when I discovered the editor also lived in Altrincham, just round the corner from Ian’s. And that was how we were introduced to Hobby Games. MM: Again, Steve and Ian. You were the original UK distributors of Dungeons & Dragons… Do you want to share the story of how that happened? Do you remember your first game of D&D? What did you initially think of the game and did you have any idea of the cultural and social impact that it would go on to have and how it would forever change gaming? Ian: We enjoyed playing what we called back then ‘hobby games’, but it wasn’t until we met up again in London in the early 1970s that we were able to turn our hobby into a business. Steve and I were sharing a flat in London in 1974 with another old school friend, John Peake. We had low-paid, boring jobs and played a lot of board games in the evenings. We always talked about turning our board games hobby into a business. 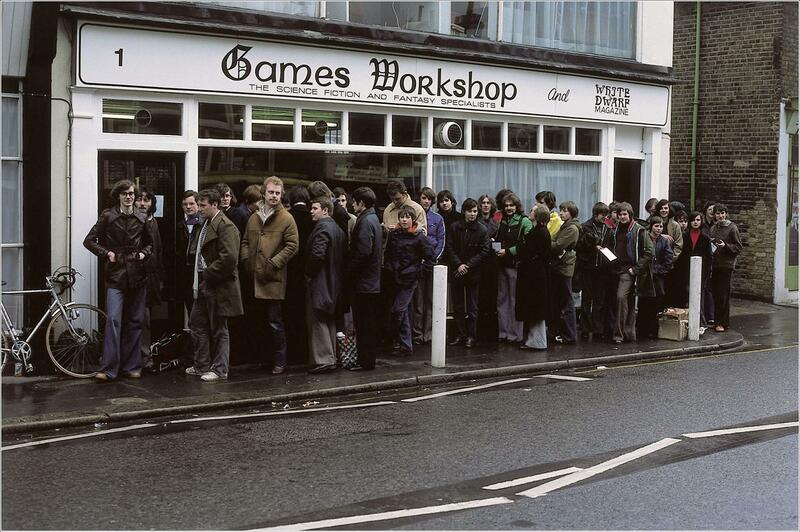 So we decided to do just that, and founded Games Workshop in February 1975. We started by publishing a fanzine Owl & Weasel to reach out to people who shared our passion for games. We sold games by mail order from our flat before the big breakthrough came when we managed to secure the exclusive European distribution rights for Dungeons & Dragon on the back of an order of six copies of the game! D&D was a milestone in gaming history. Our first D&D session was one of the funniest and most entertaining gaming sessions I’d ever had. Role-playing in medieval fantasy world! What was not to like? We quickly became obsessed with D&D because it was so different to anything we’d ever played before. Theatre on the fly. Its popularity spread by word of mouth, and we did all we could to help spread the word through Games Workshop publications. But D&D did not appeal to John and he decided to leave Games Workshop. Little did we know what a world-changer D&D would become. 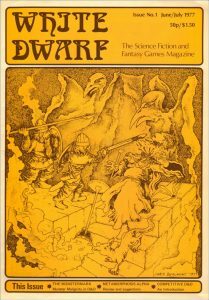 Steve: There was a buzz around the fanzine publishers about this game Dungeons & Dragons but none of the reviews really explained how it worked. It seemed to be non-competitive, no winner or loser, no end to the game, no pieces were necessary, you needed special dice to play and you had to get them from Hong Kong…… What sort of game was this?? When we finally got hold of a copy, we were none the wiser. You had to buy another rulebook called Chainmail to give you a combat system! But we persevered and eventually came across a games group at City University who had played it before. And when we understood… Bam! This was the most original game we had ever played! We immediately became D&D evangelists! Jamie: I remember when I was about 16 years old getting the original D&D white boxed set that I’d ordered by mail from Games Workshop. I had no idea it was Ian and Steve in a bedroom somewhere, stuffing the box into an envelope! Anyway, that game literally changed my life. Partly because it was a completely new way of playing games, an entirely new experience and the beginning of a whole new industry. But also because I actually end up working for them. Who would have thought that at the time! MM: Which sort of brings me to Games Workshop… When did you decide, and why did you want, to start GW? How difficult were the early days of the company? And again did you ever envision GW going on to become the global company that it is now? Ian: It wasn’t exactly hard to set up a new company back then, but it was virtually impossible to get funding or a bank loan, especially for a small games company that sold obscure fantasy role-playing games. After being kicked out of our flat where we were running our mail order business, Steve and I had no choice but to live in his van for three months as we only had enough money to rent a small office at the back of an Estate Agents from where we ran Games Workshop. But we didn’t really care because we were living the dream and made it up as we went along. And when you are living in a van, never do you imagine for one second that Workshop might one day become a global games company listed on the London Stock Exchange! MM: Let’s talk about ‘Dice Men’ – Jamie, Ian and Steve, where did the idea for the book come from? Was it always something that you wanted to do, to tell the story of Games Workshop’s first decade? Ian: Steve and I always thought it would be great to tell the origin story of Games Workshop, but never thought we would have time to write it. But last year I was at a book launch and met an editor from Unbound and we talked about a possible games-related collaboration. I mentioned the Games Workshop history book concept, and she jumped at the idea and suggested publishing the book through Unbound’s crowdfunding platform. I called Steve who was in agreement, and then contacted Jamie to see if he would like to do the bulk of the heavy lifting, ie conduct the research and write the first draft on the basis of the chapter headings Steve and I would set. Jamie: And when Ian got in touch, we discussed the structure of the book and stuff, and then got to reminiscing about the old days at GW. It was a happy place to work largely because everyone who worked there were also massive fans and enthusiastic gamers and Ian and Steve were pretty laid back bosses. That made it a lot of fun. And the idea of chasing up all the old folk I used to work with sounded like fun too. MM: What’s the reaction to the news of the book been like so far? Ian: The very positive reaction to the book has been really gratifying. 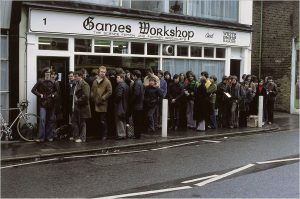 We are delighted that people want to know more about the early history of Games Workshop, and we are more than happy to tell it, warts and all! MM: You’ve chosen to publish via crowdfunding rather than follow the established and traditional route of taking the book to a publishing house. Why? Ian: It was by chance really. If I hadn’t met the editor from Unbound, I think Steve and I would still be just talking about writing the book But now we are actually in a process with Jamie and Unbound to make it happen which is brilliant. Steve: There is something that feels right about this being a crowdfunding exercise. Almost a sort of hobby publishing exercise. MM: Having written various titles, and been responsible, for the Fighting Fantasy range, I was wondering how much the writing process behind Dice Men differed to writing FF titles? Is it an entirely different beast or are the two more similar than you imagined? Ian: There is no similarity whatsoever! Fighting Fantasy gamebooks are interactive adventures, branching narratives with a games system attached. Dice Men will be a linear non-fiction chronological account of the history of Games Workshop from 1975-1985! Jamie: Yes, it’s a completely different process. Structure, narrative flow, and all that very different. It’ll be different to ordinary fiction too, as it’s more of a ‘documentary’ as it were. MM: And talking about Fighting Fantasy, can you share a little of the history of the range with us? Where did the idea for Fighting Fantasy initially come from? Was it more or less difficult to realise that you thought it would be? And Ian, Steve and Jamie, which FF title is your personal favourite and why is it thus? Ian: Steve and I had been playing and selling Dungeons & Dragons since 1975, and started thinking about a single-player role-playing game system that might appeal to a wider audience. We used to run a games convention called Games Day and invited other companies to take trade stands at it. 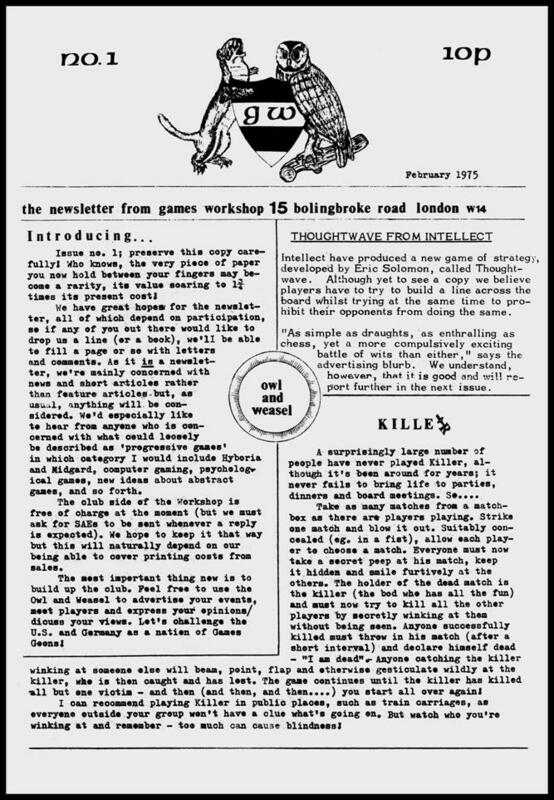 Penguin Books took a stand in 1980, and their editor, Geraldine Cooke, was amazed by the enthusiasm of several thousand people crammed into a hall playing RPGs. She asked Steve and I to write a book about the role-playing games hobby, but we convinced her that a role-playing gamebook which you could actually play would be better. We worked on the narrative structure, gameplay and combat before sending her the draft concept. It had a working title of The Magic Quest. She liked it. However her boss scoffed at the idea of interactive fiction, and it took another year to convince Penguin Books senior executives to commit to publishing The Warlock of Firetop Mountain. Asking me which is my favourite Fighting Fantasy book is like asking me which is my favourite child when I have four! So I’ll reply with four titles. The Warlock of Firetop Mountain because it was the first, City of Thieves, Forest of Doom and Deathtrap Dungeon. But I have to say I’m pretty proud of my latest title too, The Port of Peril. Jamie: For me, my favourite FF titles (other than my own of course (Talisman of Death, Sword of the Samurai and Keep of the Lichlord :-)) would be Deathtrap Dungeon. I enjoyed it first time round and then ended up working on the computer game version for Ian at Eidos, so it’s got extra meaning for me really. MM: Then there’s White Dwarf… You’re also the men (Ian and Steve) behind that aren’t you? How did that come into being? And what’s your favourite White Dwarf memory, article or issue? Why? Steve: WD was Ian’s baby. I can remember the day he came into our breadbox office and said: “What do you think of this? It’s time for Owl & Weasel to go mainstream. And since it’s about Fantasy and SF games, it’s going to be called White Dwarf. Gedddit? 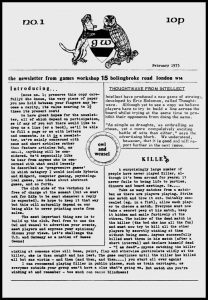 Ian: We had been publishing Owl and Weasel for a couple of years, and realised we had top up our game so-to-speak to reflect the growing hobby. Owl and Weasel was a cheaply printed fanzine, and we needed a ‘glossy’. White Dwarf was the answer. It was a big gamble, but it paid off. Favourite moment for me was getting issue 1 back from the printers. Jamie: Like Ian, my favourite was my first, WD 28 because it was the first one that I had worked on as the Features Editor. Later, I got promoted to Assistant Editor to Ian. MM: Back to GW… When you think of the first decade of Games Workshop, what’s the first thing / memory that pops into your head? What are you most proud of as far as Games Workshop is concerned and what was / is your favourite GW product or game? Ian: It can’t be just one thing, there were so many amazing memories. 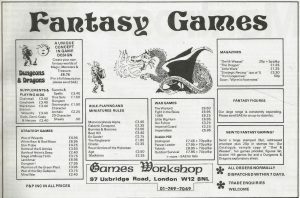 First starting Games Workshop in our flat in Shepherds Bush, playing D&D for the first time, meeting Gary Gygax at GenCon in 1976, living in Steve’s van, getting issue 1 of White Dwarf back from the printers, starting Citadel Miniatures with Bryan Ansell, opening our first retail shop, the Warhammer phenomenon. We are immensely proud of it all, and very grateful to all the people who helped us on our journey. Steve: Having been in the RPG hobby, we knew there was a possibility of the first book (Warlock of Firetop Mountain) becoming a series. But we didn’t know how quickly it might happen. Puffin wanted the next book in the series within a month. But all the success following on from Warlock doesn’t overshadow the real thrill we had from seeing 3 copies of Warlock on the shelves of the local bookshop. MM: How’s the funding campaign for Dice Men going? When do you think, and hope, that the book will see the light of day? Will it be available to anyone who doesn’t back the project? That is, will it be available from various online and high street booksellers or will it only be available to backers? Ian: Dice Men was 50% funded pretty quickly, but we still need more pledges to get it over the finishing line. 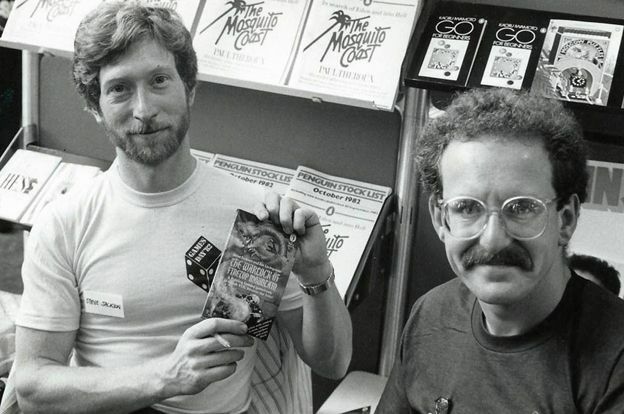 So if anybody wants to read about the mad first ten years of Games Workshop, please pledge! Backers can find out more at: https://unbound.com/books/games-workshop/ Once it is fully funded and the initial orders fulfilled, Unbound say that a second edition will likely go into general book distribution channels via Penguin Books. MM: Are you still actively involved in the gaming community and if so, what’s your current, or preferred, game of choice? Ian: On the professional side, I currently chair six indie games companies and I’m a non-executive director of Sumo Group plc. I’m also working on a new Fighting Fantasy book and a couple of board games. For fun, it’s a mixture of playing board games and video games. It’s impossible to name my favourite game as it depends on so many things – how many players, light or heavy game, how long do you want the game to last, etc. But the board games our Games Night group are currently enjoying include Smallworld, 7 Wonders, Century: Spice Road, Puerto Rico, Talisman and Caylus. Steve: As Ian says we still have regular meetings with 5 gaming mates including Peter Molyneux and Clive Roberts (ex-Hasbro games) But not so much the RPG games now. The prospect of 50 pages of rules is sadly beyond our ageing brains. I don’t have a particular favourite; like music this changes from time to time. But I would put Red Box Warlord down as having a particularly significant impact on the future. It’s a hand-made game self-published by Mike Hayes in Sheffield and it was a game that personally had a major contribution to my gaming career. Jamie: There’s a bit of a retro renaissance going on in game books. My business partner and I have done a few successful kickstarters recently, raising money for reprinting our old game book series, and writing new titles which we’ve done with Way of the Tiger and Fabled Lands. I’m mostly a full time writer though these days, doing kids novels, but also bits and pieces of freelance writing for various computer games. I play a lot of board games and computer games too, of course. But as Ian says, it’s impossible to name a favourite game – there are so many good ones out there. But I played Talisman again the other day in fact – fond of that one as I did a bit of work on it when it was first being developed.